Winter is officially upon us, and we’ve had a fantastic end to the year over at Oliver’s Travels. We couldn’t have finished 2018 with a bigger bang, and we’re so proud of all the amazing press our beloved villa holidays have been getting in the past three months. Everyone from the Times and the Sunday Mirror to The Spaces and Red Magazine have had OT on their radar lately so if you’re curious about what they’ve had to say – check out this press round-up for October-December 2018. We’ll see you again next year! 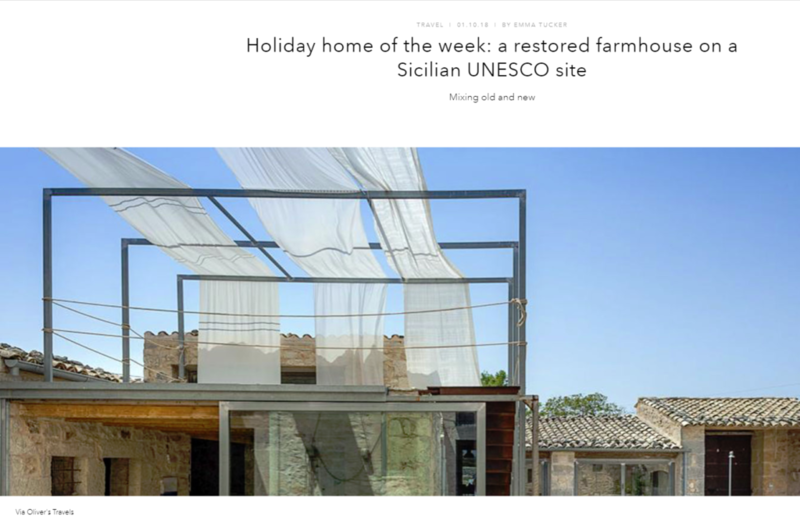 We couldn’t think of a better way to kick of the month of October than this in-depth feature on Casa Donnafugata, where The Spaces names our fabulous Sicilian property ‘holiday home of the month’. The writers over at France Today can’t get enough of the charming nooks and crannies of our beloved Chateau des Nuits Blanche. 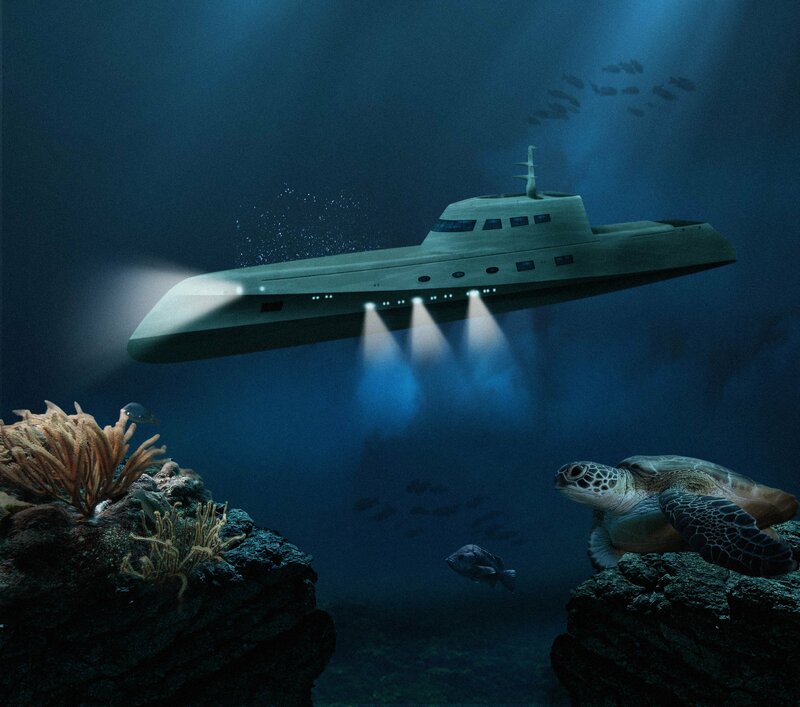 We can certainly see what the fuss is about. 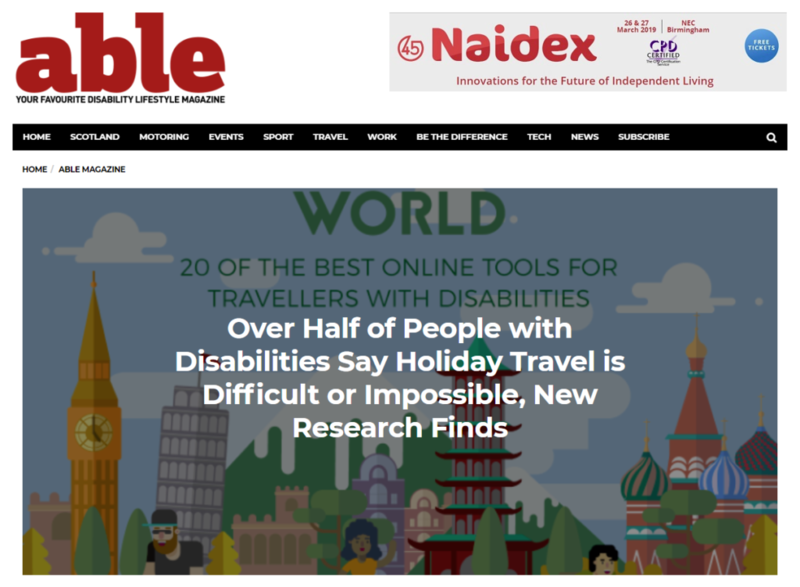 Disability Lifestyle Magazine, Able, wrote a lovely and detailed article about the finding of Oliver’s Travels recent survey and research into travel for people with disabilities, including our matching infographic. 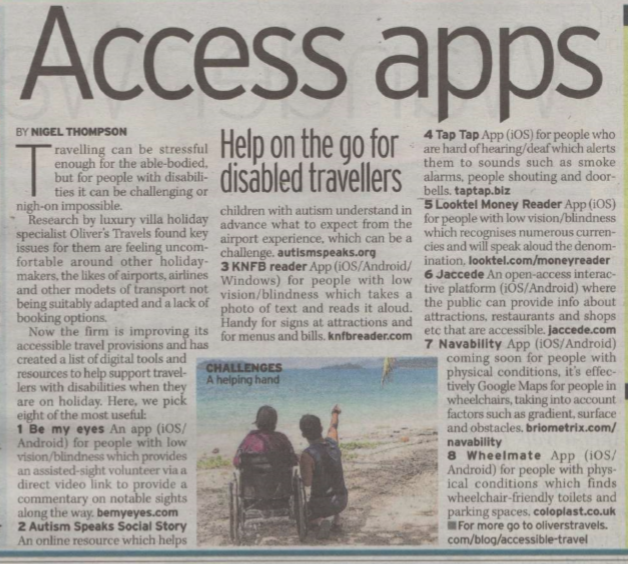 The Sunday Mirror recognised Oliver’s Travels efforts to simplify travel for those with disabilities in a great roundup of some great apps we’ve recommended! 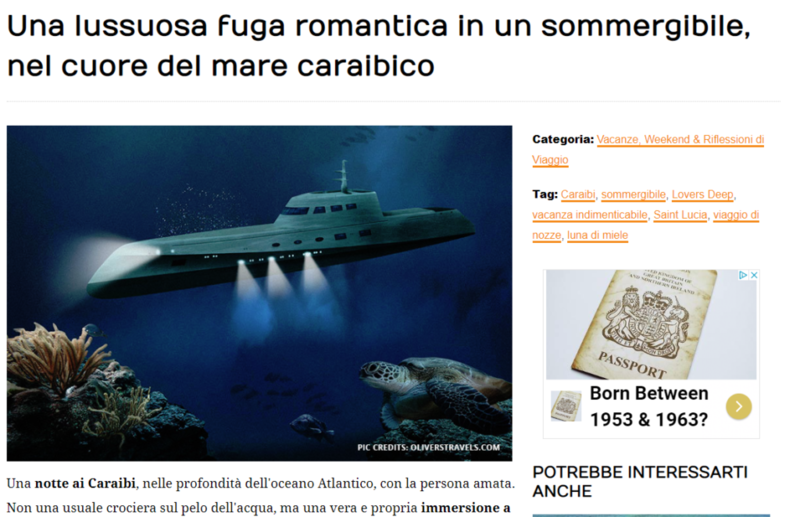 Italian lifestyle website personaldreamer.com took a closer look at Oliver’s Travels most exclusive and dreamy property, underwater hotel Lover’s Deep. 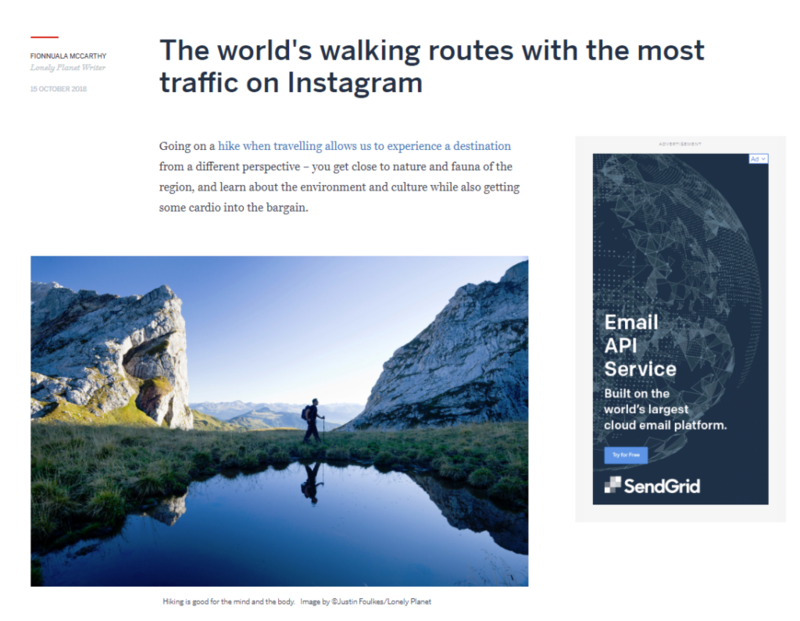 We recently scoured one of our favourite social media apps, Instagram, to find out which of the world’s walking routes was getting the most press and Lonely Planet covered out findings! 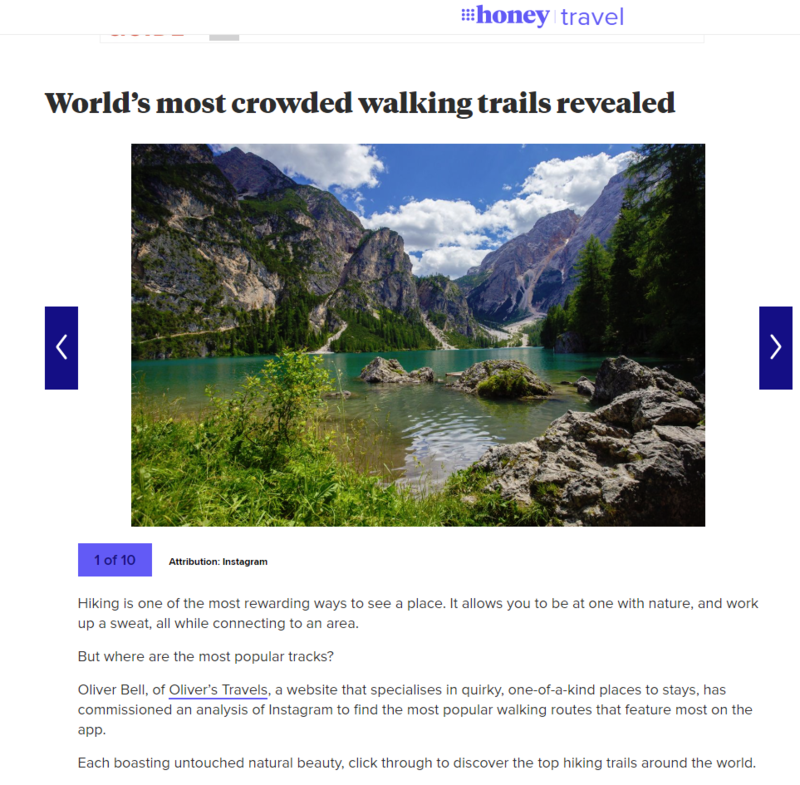 Australian 9Honey.com has written up even more fabulous coverage of our list of the world’s most instagrammable walking routes, with a great slideshow of images. 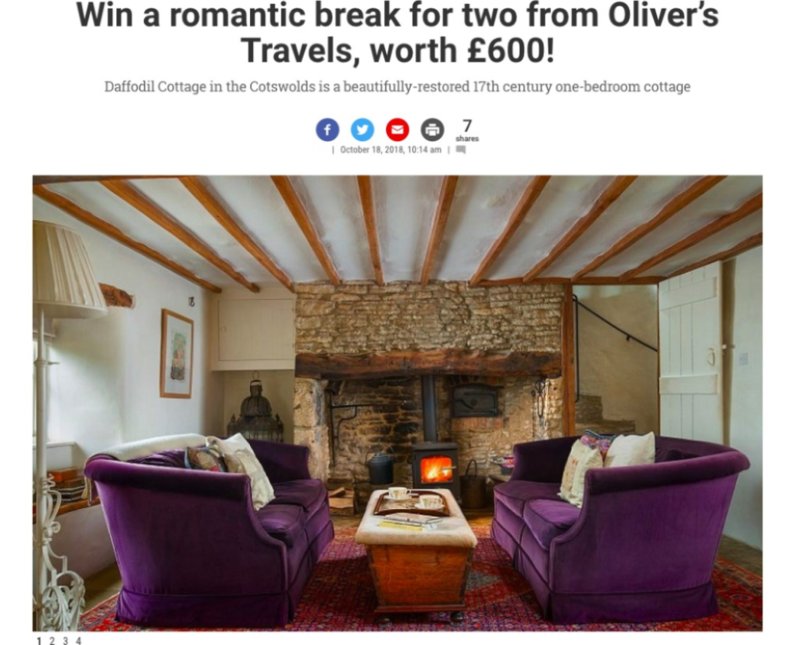 This month we ran a competition with our friends over at Jewish News to send one of their readers on a romantic break to Daffodil Cottage in the Cotswolds. 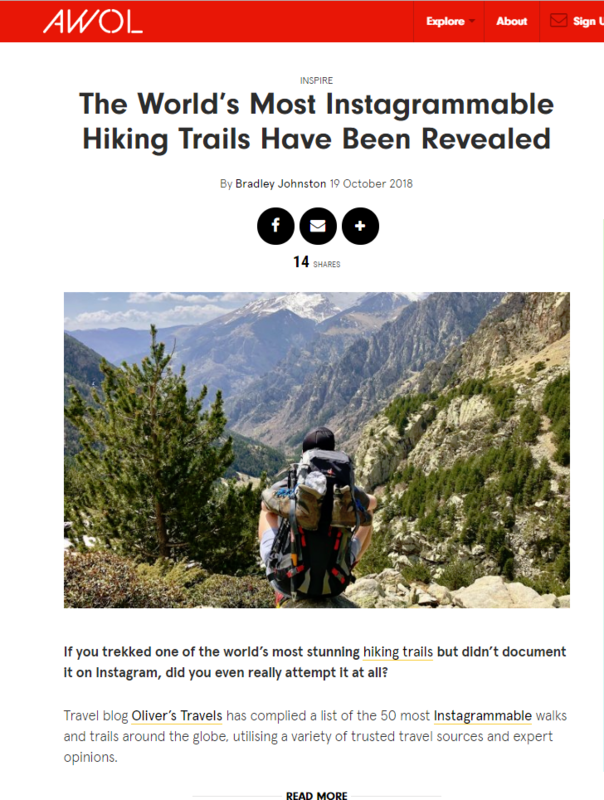 Some more fantastic writing about our list of the world’s most shared hikes and walks on Instagram can be found on travel website AWOL. 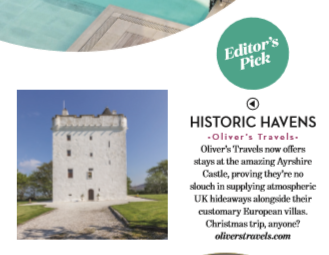 In a feature of luxury homes in Scotland, the Daily Express highlight Oliver’s Travels’ Cameron North Lodge on the shores of Loch Lomond. 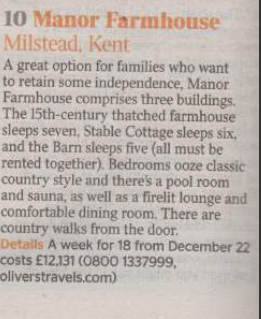 In time to start thinking about how to spend the holidays, The Times featured both Wilfred Manor and Manor Farmhouse in their article on big houses to book for Christmas. 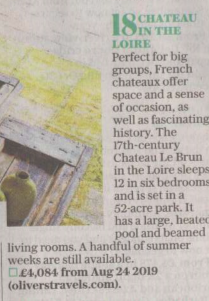 In an article about the latest holiday trends for the upcoming new year, an article in the Daily Telegraph recommends a stay at Chateau Le Brun in Loire Valley. An excellent choice, in our opinion. 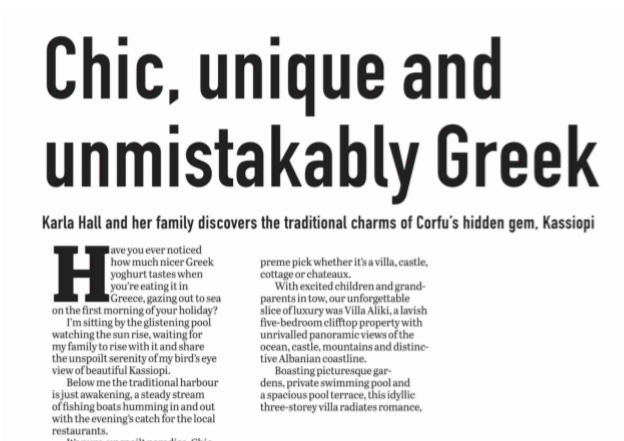 We recently organised a little press trip to Corfu’s Villa Aliki, and coverage about the travels reached a whopping eleven publications, including the Edinburgh News. The Mirror round up the winners of the British Travel Awards: including Oliver’s Travels! In their article all about the recent BTA’s, the Mirror list all the fabulous winners from the event. 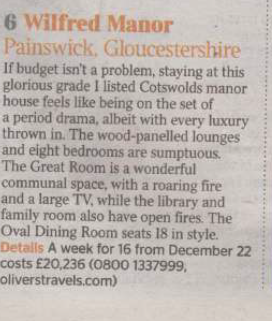 This includes, of course, Oliver’s Travels for best medium villa holiday company. 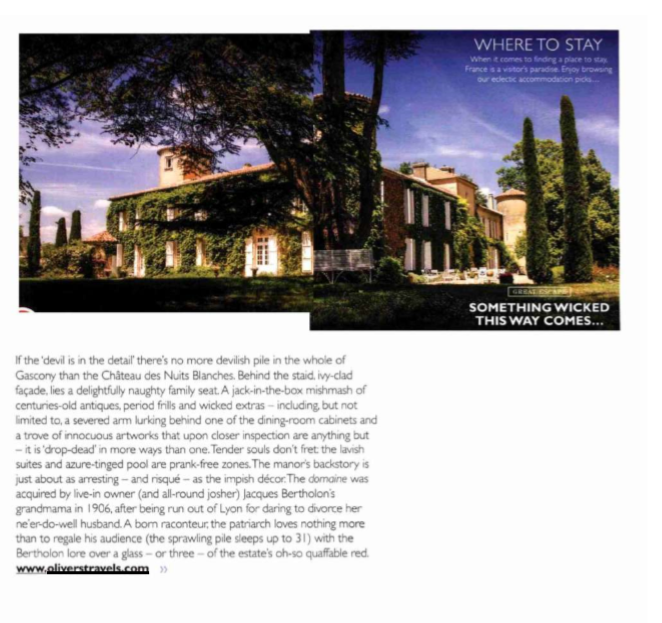 Country & Town House’s Hotel Wizard column have certainly noticed our Mumshine Break campaign and it has appeared on the travel radar along with one of our favourite images. 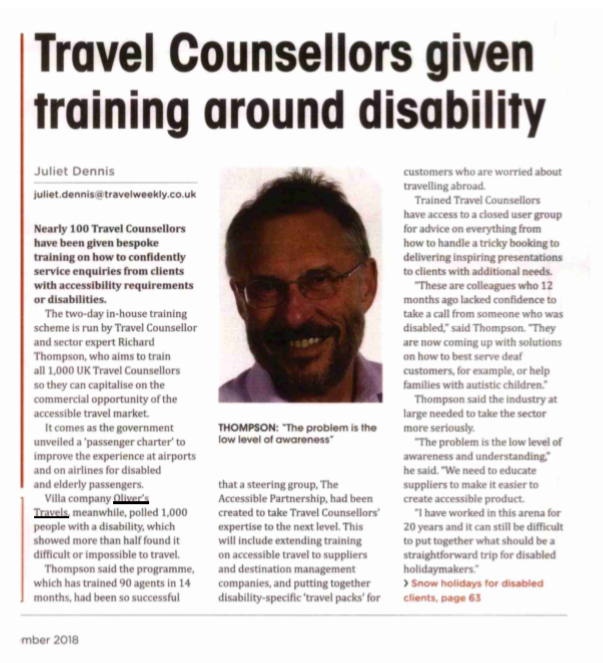 The growing trend of travel counsellor being trained in travelling with disabilities was definitely worth mention to Travel Weekly mid-December, and we were glad to see they mentioned our survey on the topic in their article. 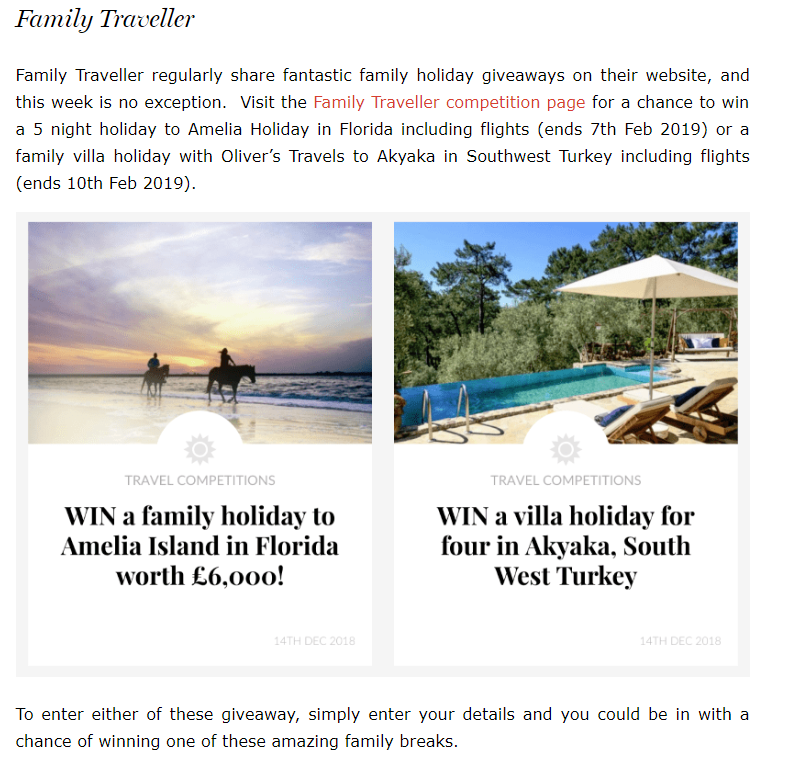 In her roundup of the hottest travel competitions of the moment, Zena of Zena’s suitcase gave a shutout to Family Traveller’s competition with OT to win a holiday to Turkey. 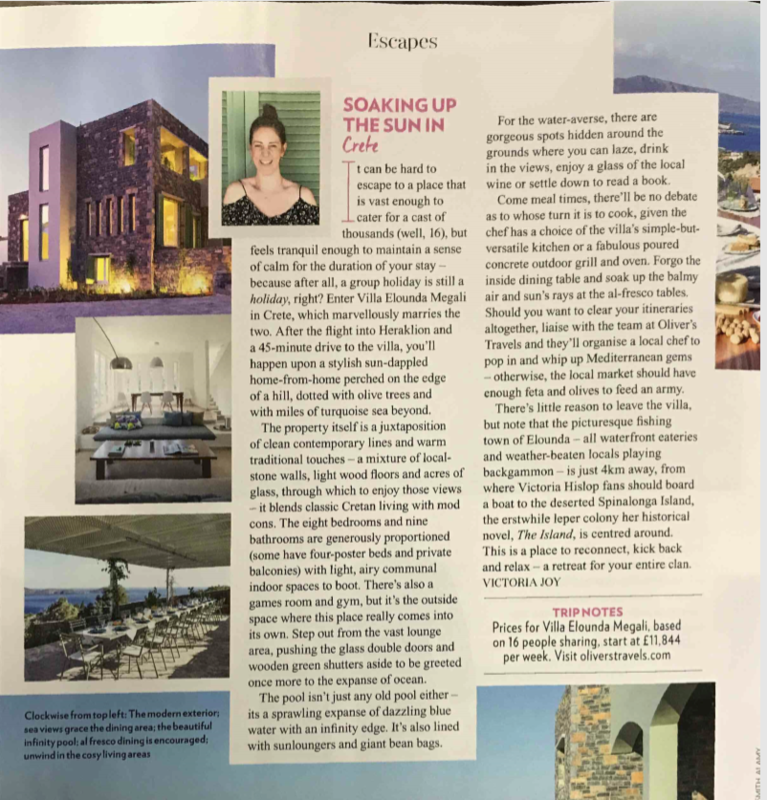 After a fabulous escape to Oliver’s Travels Villa Elounda Megali earlier in the year, Red Magazine has written all about their epic escape to the island. 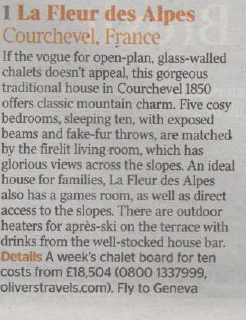 Oliver’s Travels ski chalet La Fleur des Alpes made it’s press début this month at the very top of the Times’ list of the 20 sexiest chalets on the slope, making our ski team beyond proud.